The Deka Intimidator ETX15L Power Sports AGM battery prodvide the highest convenience, easiest installation and the best premium maintenance-free performance in the industry with no activation, no acid filling and plenty of power! The ETX15L Intimidator Battery has a spill and leak proof case for premium protection for the rider as well as your power sport vehicle. 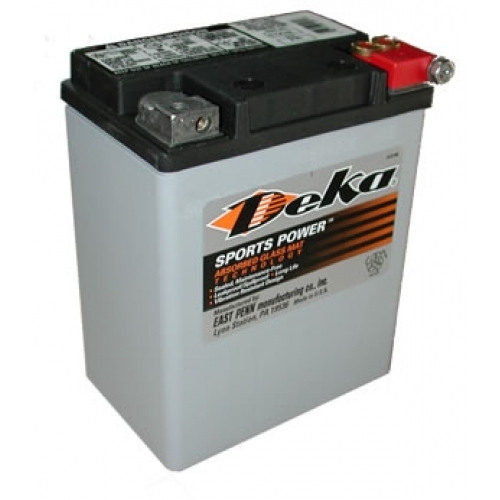 Having the ETX15L Deka Intimidator Battery in your Motorcycle, ATV, Snowmobile, UTV and Personal Watercraft your machine will benefit for many seasons from the high starting and accessory power, longer battery life and superior vibration resistance! What makes the ETX15L Deka Intimidator better than the competition?